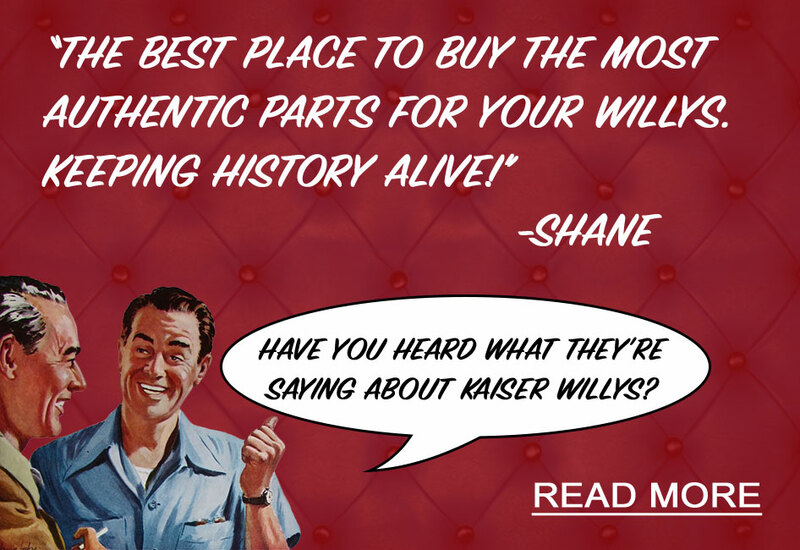 **Of the total above, 25,808 slat grille MBs were produced from November 18, 1941 to March 6, 1942. 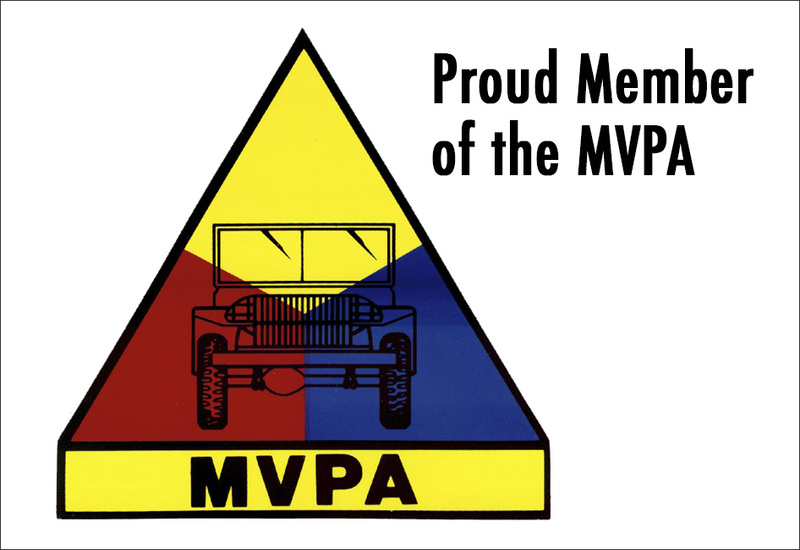 One of the first military vehicles mass-produced in the United States, the Willys MB (and Ford GPW) US Army jeep is the culmination of war-time ingenuity, standardization and strategic personalization for transport of personnel and cargo. 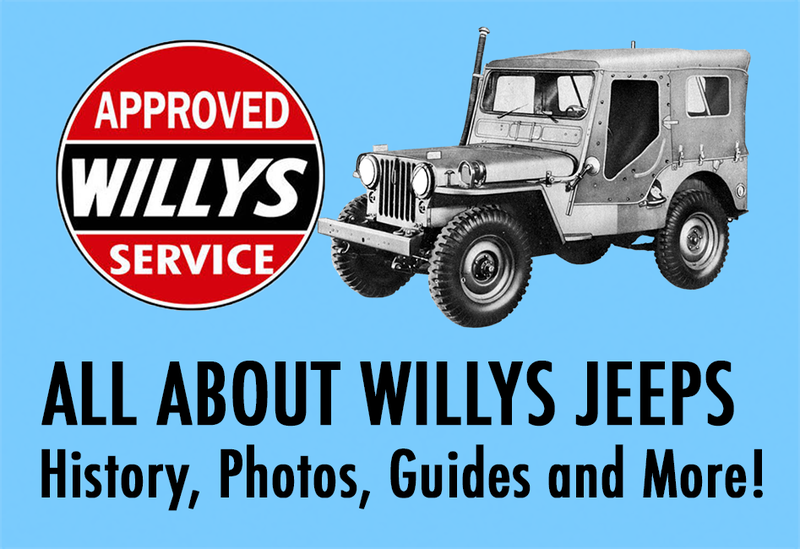 Soon to become the ubiquitous, "world-famous" jeep, the Willys MB and Ford GPW models were very effective on the ground, with many standardized features such as 6.00x16 tires, 60 honest horsepower at 4,000 rpm, a gasoline can bracket on the left rear, provisions for trailer lights, spark interference suppression, a blackout light system, twin top bows and sealed spring shackles. 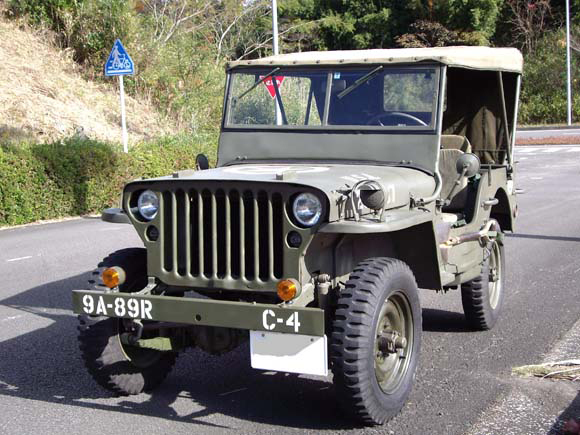 Prior to the production of the MB/GPW, other attempts were made to satisfy the Army's need for a light utility vehicle including the first prototype presented by the American Bantam Car Company. 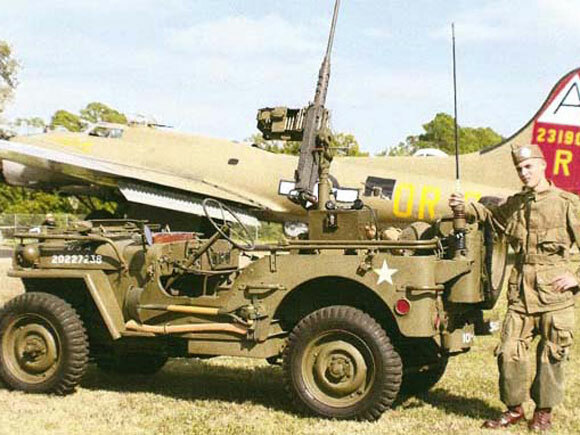 Nicknamed the "Blitz Buggy", this vehicle concept which was the first bid accepted by the Army, as it satisfied the Army’s Ordnance Technical Committee specifications that the vehicle have: four-wheel drive, a crew of three on a wheelbase of no more than 75 inches and tracks no more than 47 inches, a fold-down windshield, a 660 lb payload, and an engine capable of 85 ft lb. (115 N m) of torque, along with an empty weight of no more than 1,300 lbs (590 kg). While the “Blitz Buggy” did satisfy these requirements, Bantam was not able to deliver with the fiscal strength or production capability needed to win the contract with the War Department. As as result, Ford and Willys were asked to product their own pilot models for testing, the results of which would determine the contract. 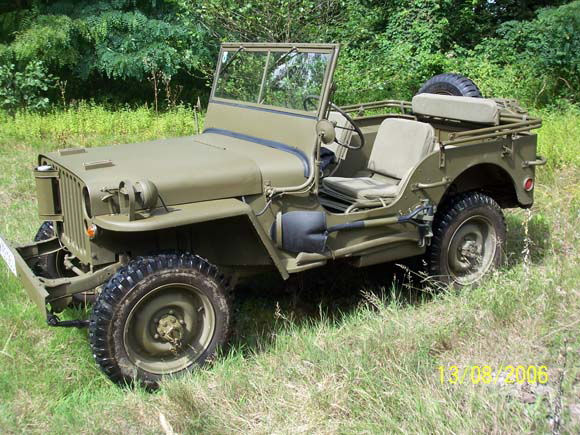 The MA and early MBs had the “Willys” name stamped into the left rear panel; however, in the spring of 1942, the War Dept. decided not to feature the logo and removed them. Early MBs had a wiper for each side of the windshield, which were hand operated in contrast to later configurations. The windshields also varied slightly. The first 3,500 produced used an MA-type frame, which had a shorter distance between the cowl and the glass frames (4 inches). The later models had a 6 inch measurement, and were noticeably taller. In the earlier model MBs, the gas tank still had rectangular lower corners, as opposed to later versions. While earlier black-out lamps for the MB were used as aids to see other vehicles in the convoy, later MBs feature a large blackout headlamp mounted on the left front fender that was used to help the driver see where he was going. The headlamps on all WWII Ford GPW and Willys MB Jeeps hinged up so they could illuminate the engine compartment in dark times. 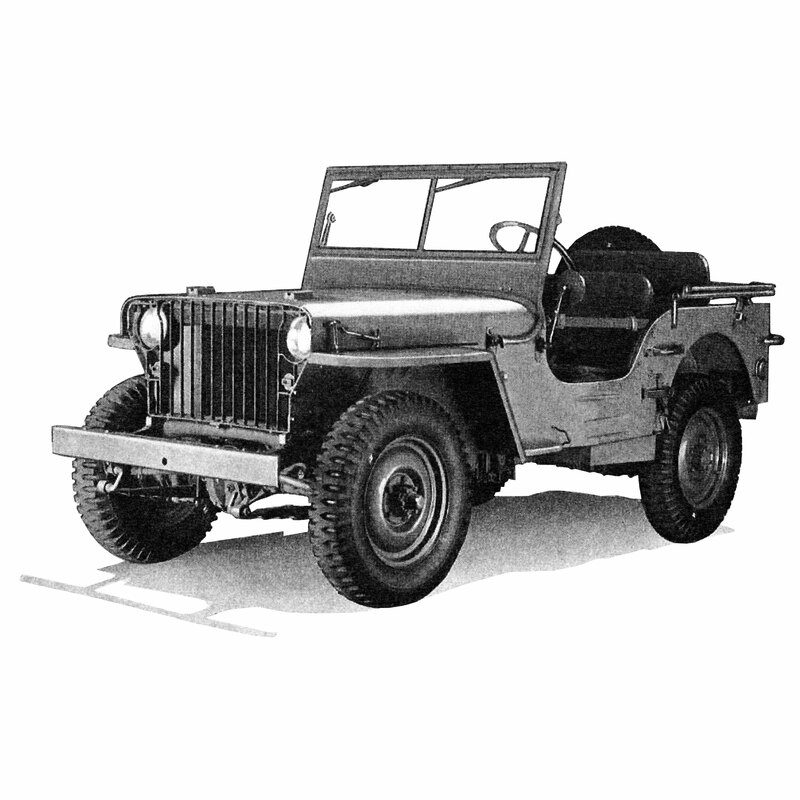 In 1942 the MB jeeps got combat wheels, replacing the original stamped and welded version. Combat wheels were heavier and bolted together to facilitate field repair, and also had the ability to transport the vehicle for a distance with deflated tires. All jeeps had brackets for their pioneer tools mounted on the left side below the entryway.